What better way to spend a Monday night? 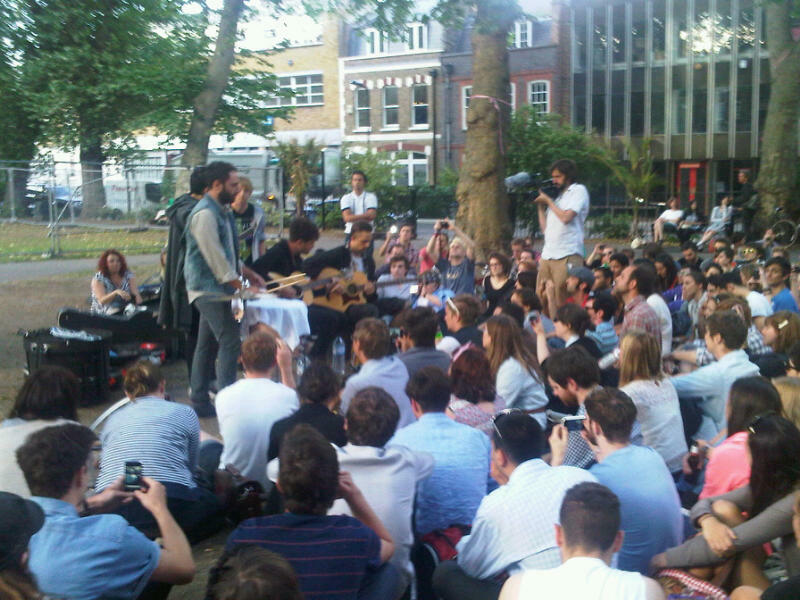 Last night I finished work, grabbed a beer and headed to Hoxton Square for a secret, open-air gig which came from folksy five-piece, Local Natives. The impromptu, acoustic and intimate gig was the perfect way to wash away those Monday blues.